March 5, 2013 will see the release of one theatrically-released actioner – the Chris Hemsworth-starring Red Dawn remake, one direct-to-video actioner – WWE’s Mike “The Miz” Mizanin in The Marine 3: Homefront, and the 2006 Biblical epic One Night with the King. The former two titles will be available on both Blu-ray and DVD, while the latter is making its Blu-ray debut. Red Dawn is a reworking of the 1984 hit of the same name, which starred Patrick Swayze, Charlie Sheen, and C. Thomas Howell. While the original depicted a United States invaded by the Soviet Union, the remake updates the villainous invaders to the North Koreans. 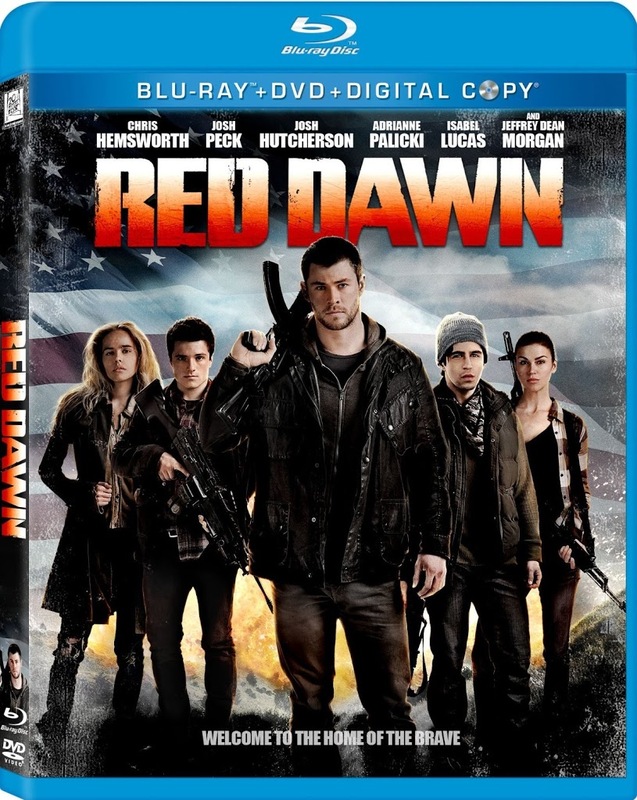 Red Dawn will be available on Blu-ray (with a DTS-HD MA 5.1 mix) and DVD March 5, 2013. Official synopsis: Chris Hemsworth (Thor), Josh Hutcherson (The Hunger Games), and Adrienne Palicki (G.I. Joe: Retaliation) deliver a full arsenal of pulse-pounding excitement in this explosive action-adventure! The unsuspecting citizens of Spokane, Washington, wake up one morning to the shocking sight of foreign paratroopers dropping from the sky in a surprise attack on the United States. Soon the entire region is under enemy control, but a group of courageous teenagers has decided to fight back, waging an all-out war against the invaders, to take back their town – and their freedom! The original The Marine starred superstar wrestler John Cena and was released theatrically in 2006. 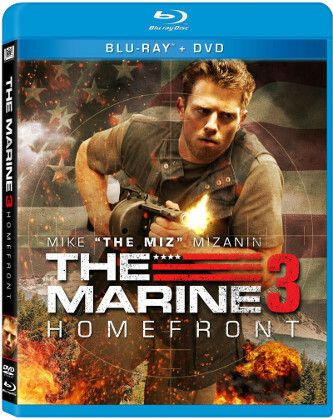 The Marine 2 was released direct-to-video in 2009 and starred another wrestler, Ted DiBiase, Jr. On March 5, The Marine 3: Homefront releases on Blu-ray and DVD, starring WWE star Mike “The Miz” Mizanin and rising star Ashley Bell (The Last Exorcism II). Official synopsis: WWE superstar Mike “The Miz” Mizanin delivers a knock-out performance in the most explosive, action-packed Marine adventure yet. After returning to his hometown on leave, Sgt. Jake Carter learns that his sister has been abducted by a band of violent extremists. To save her, Carter launches a daring one-man assault on their base of operations…only to discover the group’s ruthless leader is plotting a deadly terrorist strike. With time running out, Carter realizes he’s the only man who can stop the impending massacre — but this American hero may have to make the ultimate sacrifice to save thousands of innocent lives. 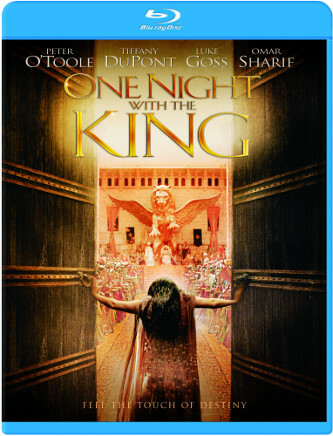 And now for something completely different… March 5 also sees the Blu-ray debut of director Michael O. Sajbel’s One Night with the King (2006). No, it’s not an Elvis concert movie. Official Synopsis: With lush cinematography, a mesmerizing score, and an all-star cast that includes Peter O’Toole, Omar Sharif and John Rhys-Davies, One Night with the King is a sweeping epic about Hadassah, the young Jewish orphan who becomes the biblical Esther, Queen of Persia. Born into poverty, Hadassah (Tiffany DuPont) grows up to become a beauty who catches the eye of the powerful King Xerxes – and ultimately becomes his bride. But despite her position, Hadassah’s life is in danger, as the state has decreed that all Jews will be put to death. Defying warnings to remain silent, however, Hadassah struggles to save her people, even as she attempts to hide her heritage, in this exciting and inspiring story about courage, faith and destiny. The One Night with the King Blu-ray will include audio commentary by producers Matthew Crouch and Richard Cook, as well as screenwriter Stephan Blinn. I really wanted to like Red Dawn, but it was nowhere close to the original. This version was seriously lacking in John Milius jingoism.